Neutrogena Anti-Wrinkle Retinol Daily Moisturizer is a better than average retinol product; I really like the concept of mixing a sunscreen with a retinol to keep you protected and treated day and night. The texture and feeling of this retinol serum feels a lot like any other facial sunscreen; it’s thin and smooth and spreads out really nicely on the skin. It comes in a tube so all you have to do it squeeze out the product, so it’s super easy to control. I found myself using more moisturizer than normal since it’s both a retinol and a sunscreen. I wanted to make sure I covered my face really well and didn’t skip my neck. Short term, I really didn’t notice any difference to my skin at all. But after using this product for a longer period of time, I noticed that my skin was definitely more plump and hydrated than normal. 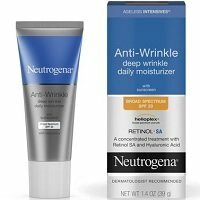 Overall, Neutrogena Anti-Wrinkle Retinol Daily Moisturizer is a great retinol product that has a cool and unique concept, which I think could help improve your skin greatly by using it in conjunction with a night time retinol. The texture and feeling of Neutrogena Anti-Wrinkle Retinol Daily Moisturizer is very similar to a typical sunscreen, but less oily than many sunscreens can be. It has a thin texture that spreads out nicely on the skin and feels really smooth and soft. Neutrogena Anti-Wrinkle Retinol Daily Moisturizer is easy to apply as it comes in a tube and you can just squeeze out the perfect amount of product. You don’t need to use much product to cover your entire face and neck, but since this is more of a sunscreen and daily moisturizer, I used more than I normally would with a typical retinol serum. I definitely made sure to drag this one down my neck as well since I want to protect my neck from more wrinkles by using sunscreen during the day. Neutrogena Anti-Wrinkle Retinol Daily Moisturizer dries very quickly in about 10 seconds; it absorbs right into the skin and once it’s dry, you can’t feel it on the skin at all. The smell of Neutrogena Anti-Wrinkle Retinol Daily Moisturizer is exactly like any typical sunscreen, which personally I really like because I love the smell of sunscreen. After using Neutrogena Anti-Wrinkle Retinol Daily Moisturizer for a short amount of time, I didn’t really see any difference to my skin. After using Neutrogena Anti-Wrinkle Retinol Daily Moisturizer for a longer period of time, my skin felt more plump and hydrated. Because my skin was more plump and hydrated, my fine lines were feeling more filled in and smooth than normal. Although, it didn’t really make a huge difference on my fine lines and it definitely didn’t do much for the deeper lines on my face. Something I really love about Neutrogena Anti-Wrinkle Retinol Daily Moisturizer is that it’s actually a day time retinol that has sunscreen in it. 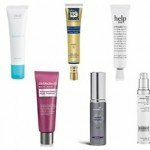 I love that because to me, it feels like not only am I being protected from the sun, but the retinol is working to improve my skin. Some of the active ingredients in Neutrogena Anti-Wrinkle Retinol Daily Moisturizer are the ingredients in sunscreen like oxybenzone. Again, I love these ingredients because I’m glad to be protected during the day from the sun while still treating my skin. Another great ingredient in this retinol is hyaluronic acid which is awesome for anti-aging because it helps the skin absorb moisture which can help plump and hydrate the skin. 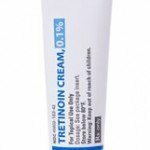 Retinol SA is also in this product which is a version of retinol that works at an accelerated rate to help improve your skin even faster. 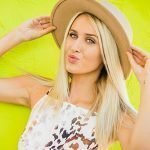 These three ingredients are really awesome for anti-aging; the sunscreen can protect your skin from further aging and the retinol and hyaluronic acid can help to reverse the age signs you already have. The cost of Neutrogena Anti-Wrinkle Retinol Daily Moisturizer is $16.49 for 1.4 oz of product which comes to $11.77 per oz. This is about an average cost for a retinol moisturizer. There is a 30-day money back guarantee for Neutrogena Anti-Wrinkle Retinol Daily Moisturizer. To buy Neutrogena Anti-Wrinkle Retinol Daily Moisturizer, click here.